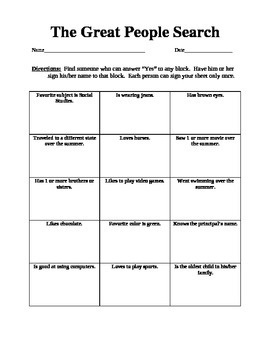 A fun activity to use at the beginning of school or for any get-together. Students have to search for people in the room matching specific descriptions. Makes students learn each other's names as well as introduce themselves.